Panasonic have announced their compact GF7 Micro Four Thirds camera featuring a 16-megapixel Four Thirds sensor, Full HD / 50p video recording capabilities, built-in Wi-Fi and a tiltable 3″ 1040k-dot touchscreen for those oh-so-vital selfies. Although it’s designed to serve up the kind of convenience that appeals to the mass market point-and-shoot brigade, there’s also plenty of manual controls on hand should the need (or the desire ) to get a-tweakin’ arise. The lightweight and bijou snapper also packs a wide variety of automatic and rapid AF functionalities including a Low Light AF mode that sets focus on subjects more precisely in gloomy conditions without the need for an AF assist lamp. As well as the regular Face Recognition AF, the Lumix GF7 also packs a nifty Face / Eye Detection AF, which automatically set the focus right on the subject’s eyes. 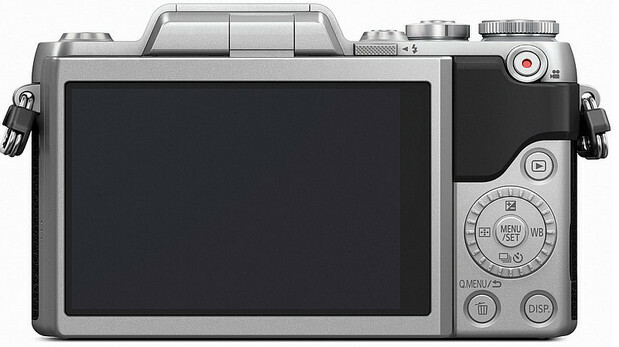 The camera’s advanced Intelligent D-range Control promises greater control over the final image, with the on-board Wi-Fi module letting photographers shoot both photo and video from their smartphone or tablet, which can be used as a remote control for the shutter, zoom, focus and aperture controls. The camera will be available from March, priced at £429 while in the States,a kit version with a 12-32mm collapsible zoom lens will knock out for $599. 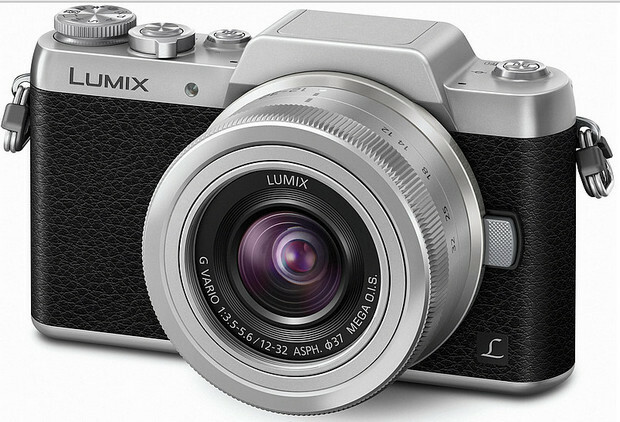 20 January 2015 – Panasonic has today launched the LUMIX GF7, a compact and light LUMIX G interchangeable lens camera that will give you stunning image quality to allow you to truly express your unique style. Easy to use and bursting with features – including a new hands-free ‘selfie’ mode which lets you strike a pose and share your latest looks with friends and family in an instant – the LUMIX GF7 will let you step up your creative photography without restrictions. Available in silver and brown, the LUMIX GF7 adds some serious style and panache to the interchangeable lens camera market. Every part of the build – from the positions of the buttons to the leather-touch grip – has been ergonomically designed so that the camera is a joy to both hold and operate. Packing advanced image quality and a host of creative features in a sleek and compact body, the LUMIX GF7 is your perfect companion to improve your photography every day. 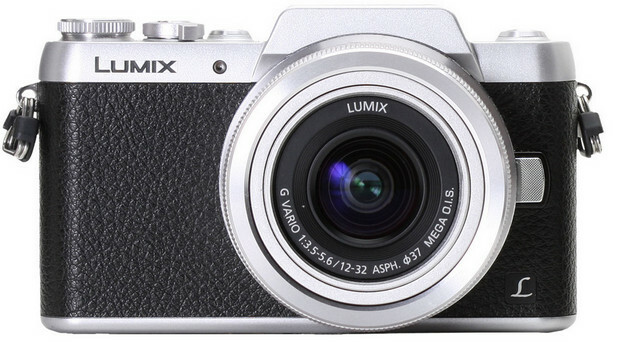 The LUMIX GF7 will be available from March, RRP: £429. With a large 16 megapixel Micro Four Thirds Digital Live MOS Sensor – far larger than those found in traditional point-and-shoot cameras – the LUMIX GF7 enables you to achieve high resolution and precise shots every time. This large, advanced sensor – in combination with a Venus Engine image processor – reduces overall noise in your photography and videography, mean you can achieve clear, smooth results even when shooting in low light or at night. The LUMIX GF7’s image quality advances are not restricted to still photos. Now you can record the world around you in stunning 1920 x 1080 Full HD video in AVCHD Progressive (50p) or MP4 (MPEG-4 / H.264) format. You can use Touch AF in video recording allowing you to achieve professional results with ease, while with AF Tracking you can lock the focus onto your subject, even if they move. The LUMIX GF7 has been designed and built to allow you to express yourself and capture the world around you, in a truly creative way. The 3.0-inch 1040K-dot touch screen is tiltable by 180 degrees and boasts high visibility under a variety of lighting conditions, making it ideal for taking the best possible selfies. Once the monitor has been flipped up, the camera automatically activates Self Shot Mode. 2014 was the year of the ‘Selfie’ with the term mentioned more than 92 million times on Twitter*. We expect this new feature for the GF7 to be a firm favorite with users. In addition, there are various functions to help you get beautiful shots of you and your friends. “Soft Skin” makes skin look smoother on selfies, “Defocusing” gives an attractive defocus effect around face and ‘Sliming Mode’ sharpens the subjects face to appear slimmer. The LUMIX GF7 is also bursting with artistic functions that allow you to add your own individuality into your photography, with ease. Creative Control mode gives you 22 filter options – from Retro to Dynamic Monochrome to Toy Effect. You can even take images with and without the filter effect at the same time, so you can compare the results and choose your favourite later. With the Creative Panorama function, you can take stunning horizontal or vertical panoramas, and iA+ (Intelligent Auto) mode – available in both photo and video modes – provides a variety of shooting-assist functions including Intelligent Scene Selector, Intelligent ISO Control and Food Recognition. You can also achieve highly creative movies with the LUMIX GF7, with just the click of a button. The Time Lapse mode lets you document changes to a scene over long time periods, while the Stop Motion Animation function – a well-known cinematic technique used to makes static objects appear as if they were moving – enables you to create an animated or puppet-based masterpiece in your own home. The LUMIX GF7 also features a wide variety of automatic and rapid Auto Focus (AF) functionalities to help you achieve precise, clear photography – even when you have very little time to set up the shot. With an advanced Contrast AF system, the camera ensures greater accuracy – even when compared to high-end DSLRs – when shooting with bright lenses. The Low Light AF mode sets focus on your subject more precisely in darker conditions – even when the stars are the only light source – without the need for an AF assist lamp. In addition to the conventional Face Recognition AF, the LUMIX GF7 also incorporates Face / Eye Detection AF which automatically set the focus right on your subject’s eyes. The camera’s advanced Intelligent D-range Control also gives you greater control over the final image so that every part – from the dark sections to bright – is faithfully reproduced, just as you want it. With integrated Wi-Fi connectivity, the LUMIX GF7 gives you the most flexible shooting experience, as well the ability to share your creations instantly via social media. This functionality allows you to easily connect the camera to your smartphone or tablet device. This enables you to shoot both photo and video using your connected device as a remote control for the shutter, zoom, focus, aperture and more. The LUMIX GF7 also features the new Jump Snap function, where you can achieve great shots of you and your friends jumping in the air. The remote control smartphone automatically detects the highest point of your jump, and releases the LUMIX GF7’s shutter while you’re mid-air.